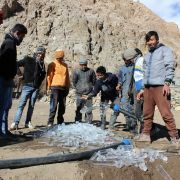 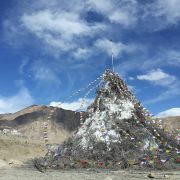 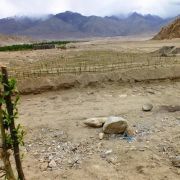 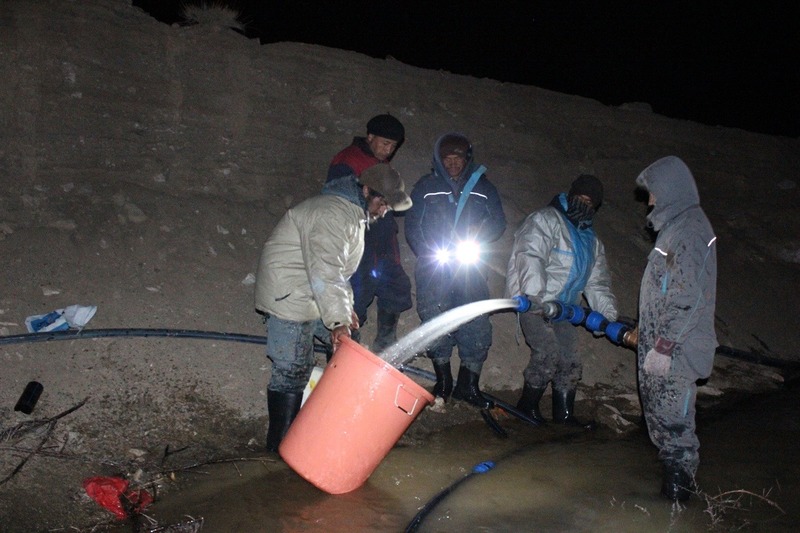 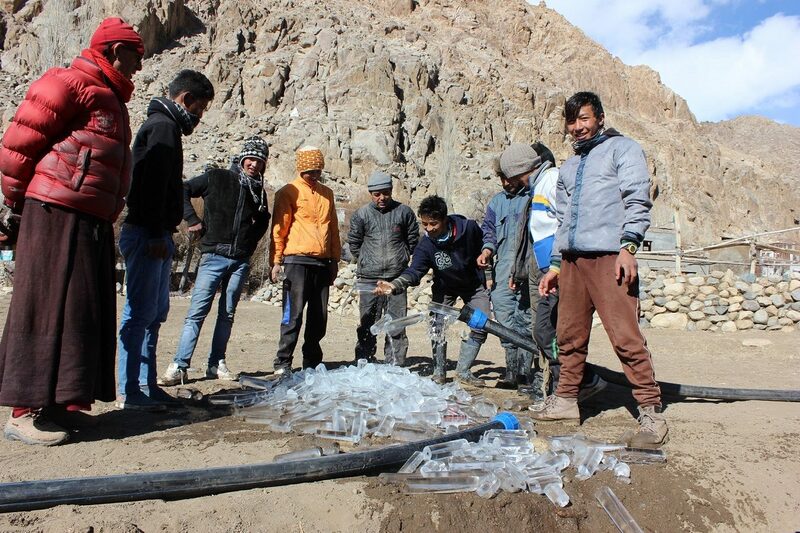 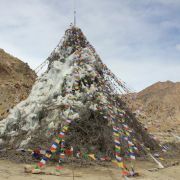 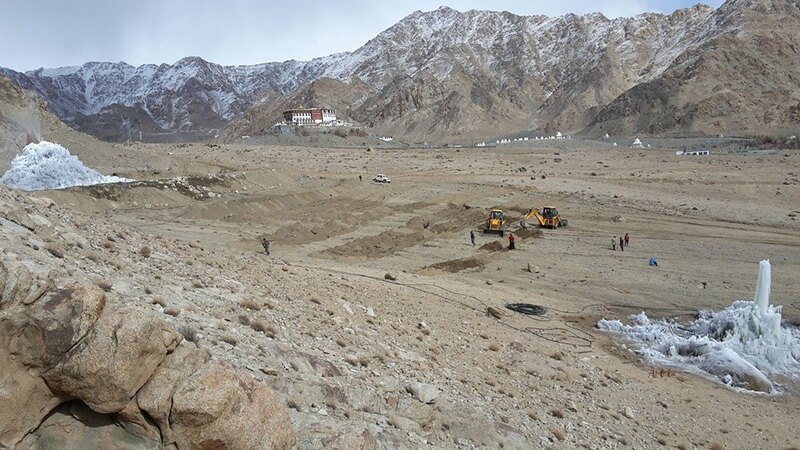 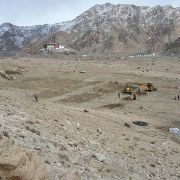 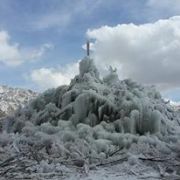 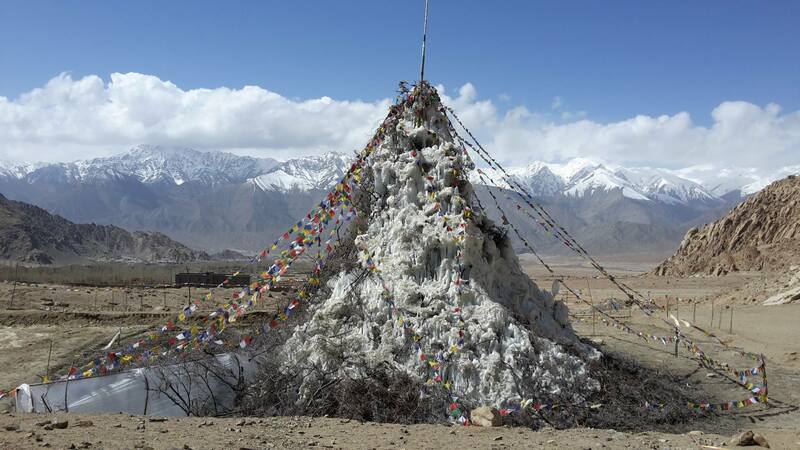 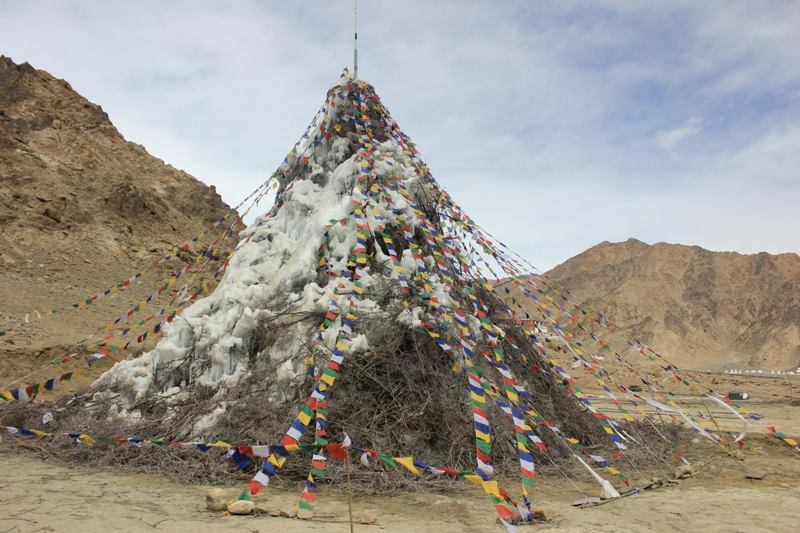 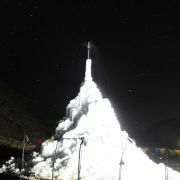 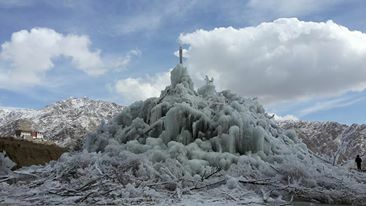 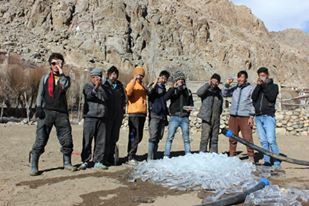 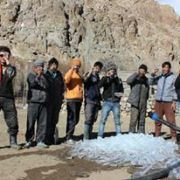 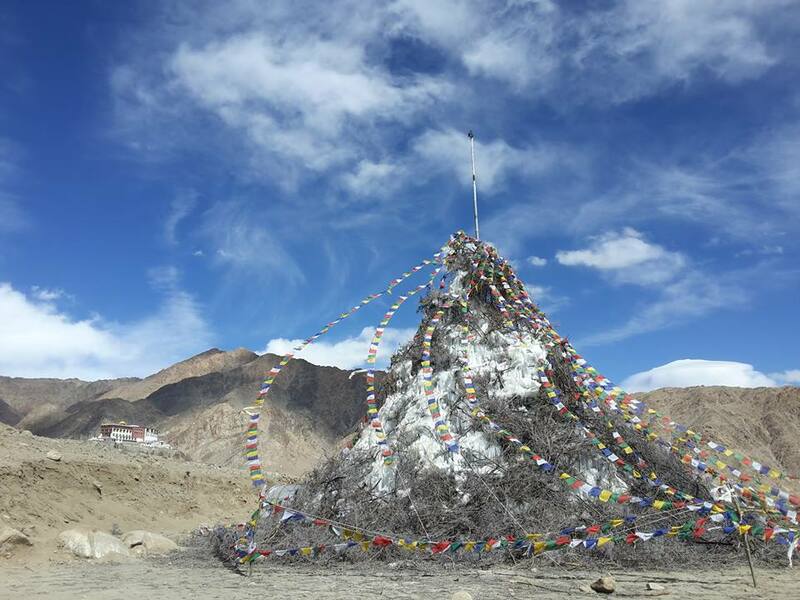 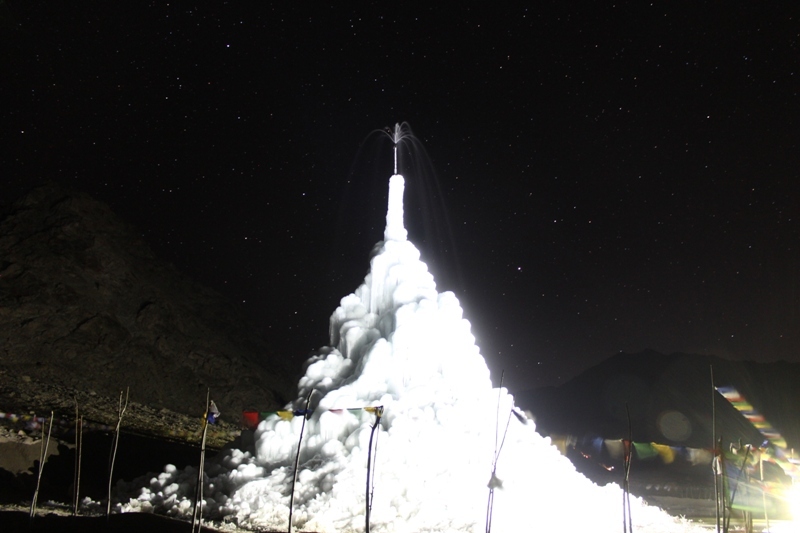 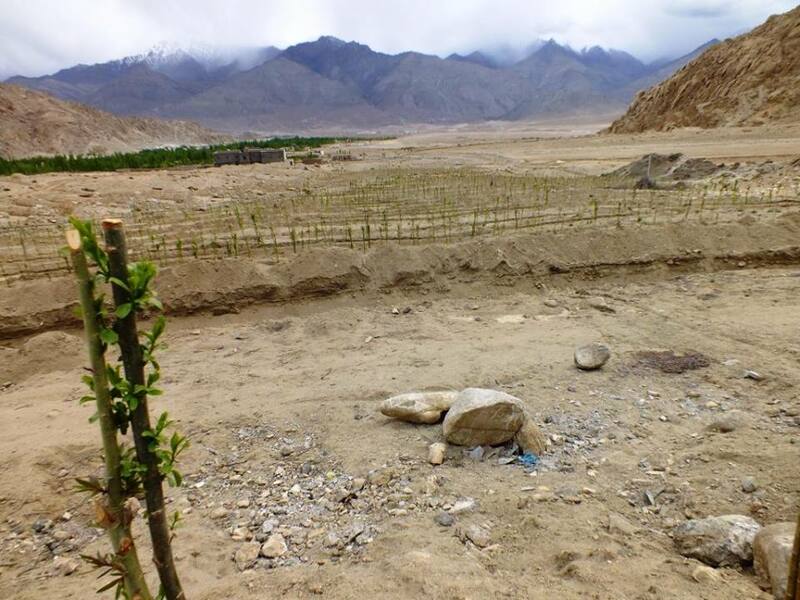 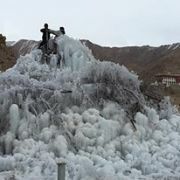 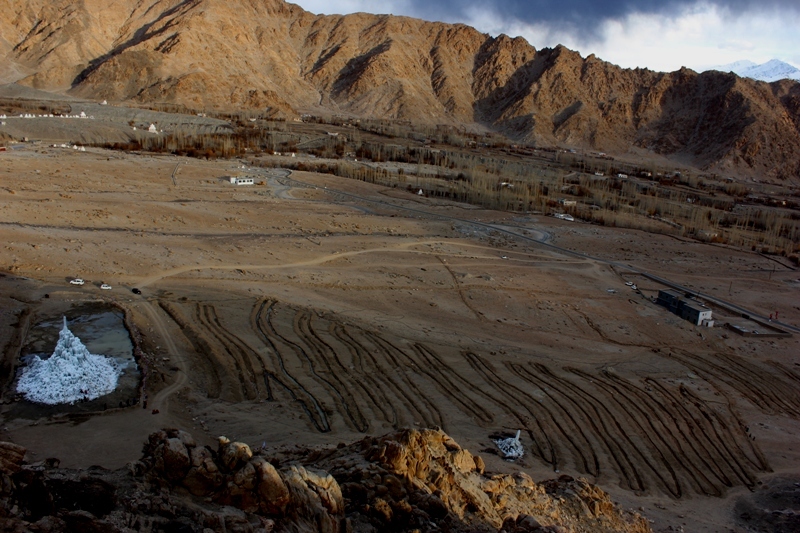 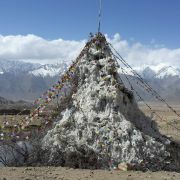 Ice Stupa and a baby stupa in the making on the deserts of Phyang. 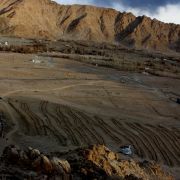 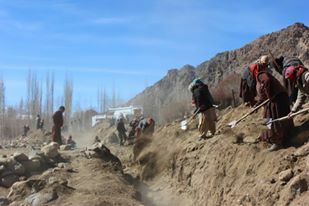 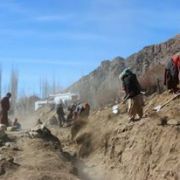 Volunteers and machines are preparing plantation-ready trenches for the 5,000 tree mega plantation event on 5th of March... under the Go Green Go Organic Campaign. 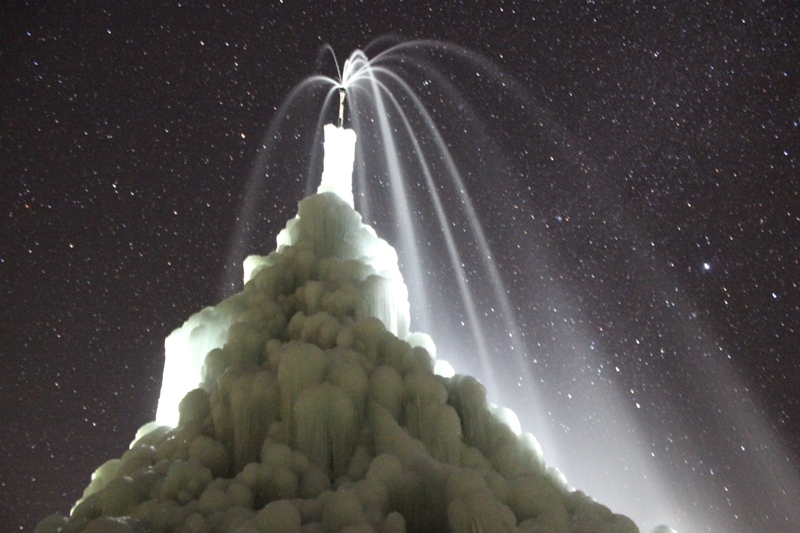 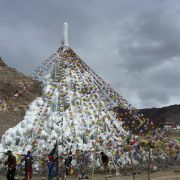 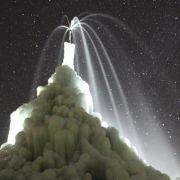 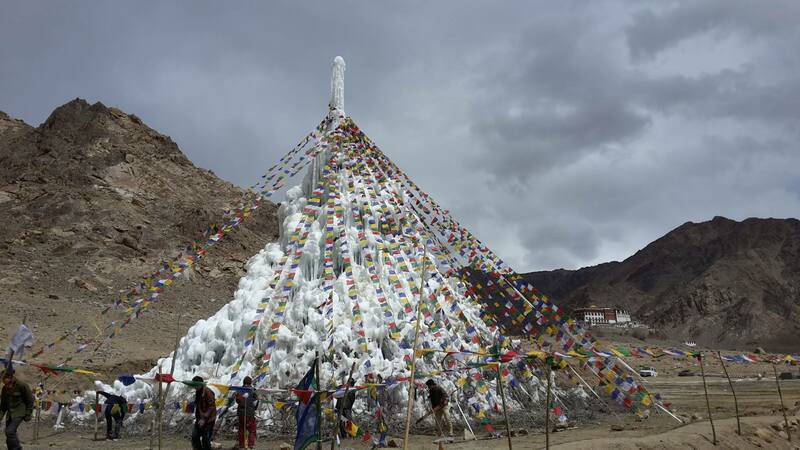 And now the Ice Stupa goes up ... hopefully fast... Its now 27 feet. 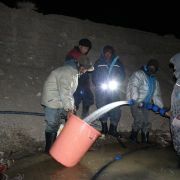 Burying the pipes... all the villagers in action.